Maths and Science Tuition: CBSE/ICSE/ STATE BOARD/ IGCSE/IB. All boards and all classes from class 1 to class 12. Subjects : Math, Science, Physics, Chemistry, Biology. Teachers/Tutors are subject experts with more than a decade of experience in Teaching and Coaching. 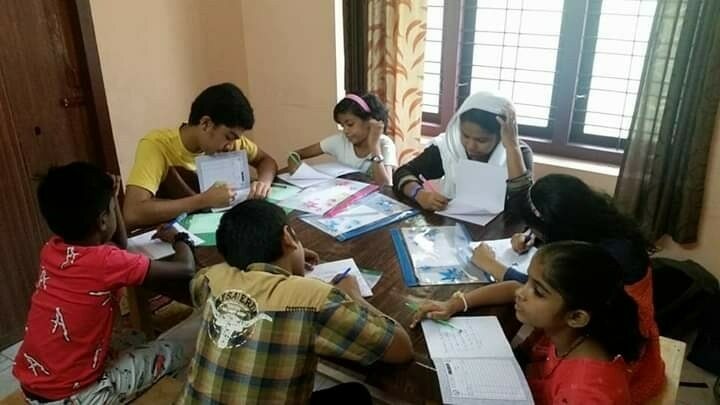 Math and Science Tuitions Tuitions for CBSE, ICSE , STATE BOARDS, IGCSE, IB in all Subjects like Math, Science, Physics, Chemistry , Biology, English , Hindi with experienced and Professional Tutors and Teachers. Small batches and Individual Attention to each child's Learning needs. CBSE ICSE STATE BOARD TUITIONS for all classes from class 1 to class 10 under the guidance of expert teachers in Math, Science , English , Physics, Chemistry and Biology. Tuition Batch start on March 3 2019. Math Science Physics Chemistry Biology and English For classes X and XII CBSE ICSE STATE BOARD Personalized Session from Subject experts and Experienced Teachers & Tutors. School Tuition CBSE ICSE STATE BOARD IB IGCSE School Tuitions in all Subjects Math, Science, English, Hindi, Malayalam, Social Studies, Physics, Chemistry and Biology. We have experienced Teachers, Tutors, who focus on Individual Attention to each child and his/her Learning needs. CBSE Science Tuition We provide CBSE ICSE STATE BOARD IB Tuitions for Science and Maths. Science includes Physics Chemistry Biology and we have experienced Teachers and Tutors to teach each one separately for different age groups and classes from Class 6th to class 12th. Exam Preparation , Concept Teaching and Doubt clearing sessions are also conducted.